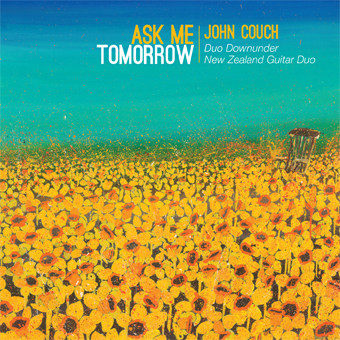 ​Ask Me Tomorrow is a CD of new music written for, by and dedicated to John Couch. New Australian/New Zealand music is brought to life for the first time by John Couch (solo), Duo Downunder (Violin & Guitar) and the New Zealand Guitar Duo. Total playing time: 55 minutes and 03 seconds.